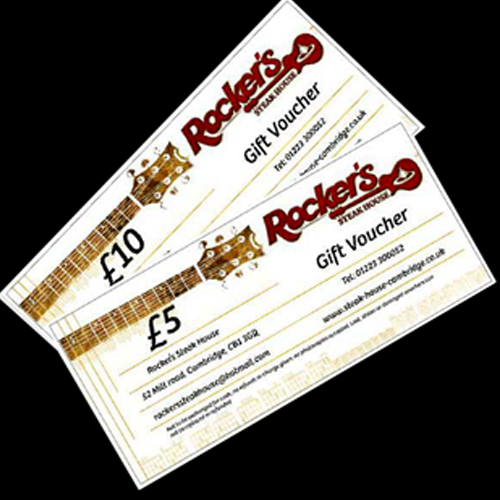 Buy Rocker’s Steak House Gift Vouchers online – a great gift for your loved ones! These can be purchased online using your credit or debit card or PayPal account. The minimum spend is £10. Vouchers can be either picked up directly from our restaurant (please specify whether you would like to pick them up from Mill road or Leisure Park branch), or delivered to you for free! Please note that although we aim to dispatch vouchers within 2 working days, delivery may take up to 7 working days. Just let us know if you prefer delivery or a pick up!